Here’s an adorable trio of pint sized umbrellas perfect for kids that will brighten up those wet and gloomy winter days. Dear Friend is a delightful online children’s boutique created by a mother of two little girls, full of unique finds from across the seas. 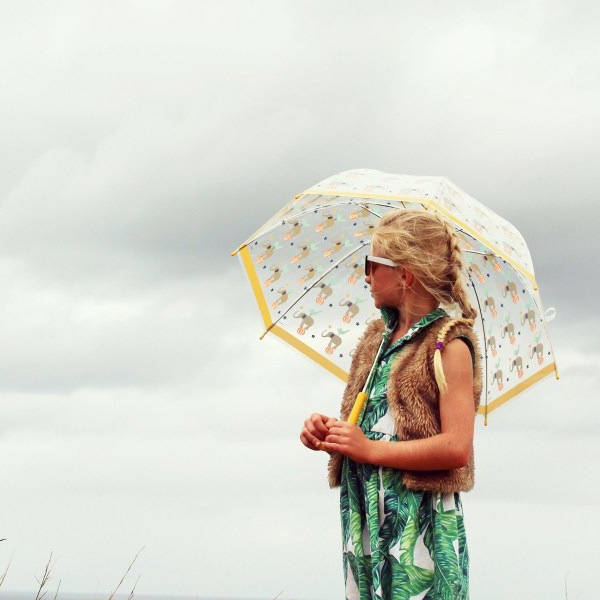 Designed in France by Banjo, these dainty umbrellas are covered in playful prints that your kids will love. The see through style adds to their unique look and means kids can see exactly where they’re going while they’re splashing in puddles. 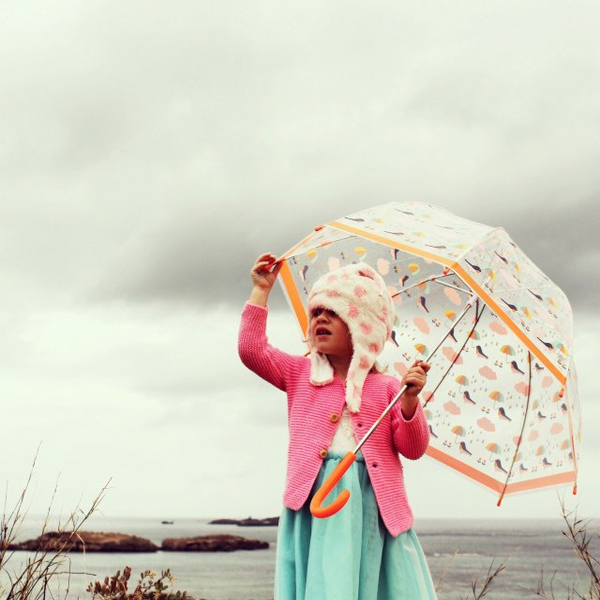 With winter weather in full force, your kids will want to bring their new brolly everywhere they go. Available in a selection of three adorable designs each priced at $20, you can find them at Dear Friend.